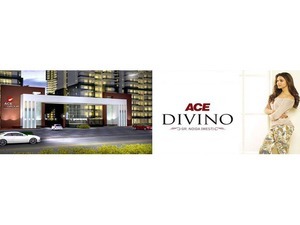 Ace Divino Apartments are the landmark in Delhi/NCR because these inherit utmost beauty and architecture design soothing to the soul of residents. Thesenextgeneration apartments give you utmost pleasure and comfort. Incorporates with World class amenities and features it offers a ultra-modern lifestyle. Apartment Size: 995 sqft sq. ft.